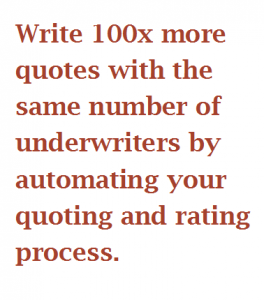 Global IQX Quoting and Rating automates the quoting and rating process for group and employee benefits insurance carriers. 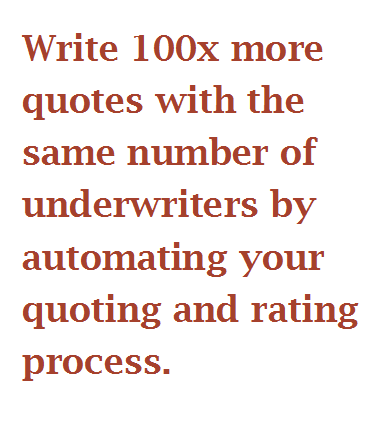 Dynamic web pages and SMART functionality guide sales and underwriting departments through the quoting lifecycle; contributing to higher conversion rates and to lower distribution, maintenance, and support costs. The IQX Business Rule Management System (Rules) Engine, Rating Engine and Content Engine power the IQX solution, reducing errors in rating calculations, promoting efficiencies, and improving time to market for new quotes. Optional integration with your CRM allows agents and brokers to share valuable client details seamlessly and prevents re-keying data. IQX Workflow gives you the ability to view, verify, print and edit features across the platform in addition to supporting basic and advanced search functions on a range of selection criteria. Home and regional offices have a 360̊ view of all sales and services activity 24/7. Census data is handled easily for large groups with the IQX Import/Export feature and Census Link. User roles are managed for agents, brokers, and underwriters with the IQX Channel Manager, allowing business users to operate independently without reliance on IT staff. Permissions and access to functionality and data across the IQX platform is controlled from one location. Configuration modules provide you with the flexibility to manage rates, formulae, business rules, proposals and documents on-demand. All employee benefits including Life and AD&D, Disability, Vision, Dental, Extended Health, Medical, Voluntary, and Critical Illness can be united by this component for full quoting capabilities. For carriers whose current application cannot support their existing or future needs, Quoting and Rating integrates industry data standards with legacy systems forming a data hub for straight-through-processing solutions. Discover why The Principal Financial Group selected Global IQX.